 Mouse anti Benzoylcgonine antibody, clone BE3 recognizes benzoylecgonine, a metabolite of benzoylmethylecgonine. Benzoylmethylecgonine is also known as cocaine or coke, an alkaloid extracted from the leaves of the South American coca plant, Erythroxylon coca. Coca leaves are traditionally chewed or sucked, causing a slow absorption and hence a slow onset of action. Cocaine hydrochloride, however, is a white crystalline powder that may be snorted, resulting in very quick absorption and action. It may also be used intravenously or smoked as “crack”. Historically it has had many medicinal uses, including as an analgesic and local anesthetic. Currently, the drug is a controlled substance. Cocaine stimulates the central nervous system, resulting in increased alertness, euphoria and a sense of confidence and physical strength. It can increase blood pressure, heart rate and body temperature and, once the effects are worn off, may result in anxiety, fatigue and depression. In the body cocaine is rapidly converted to metabolites, mainly benzoylecgonine and ecgonine methyl ester, with benzoylecgonine being the main urinary metabolite.